Speak Swahili with your fellow Swahili students and enthusiasts over a drink at Jupiter (check for location updates). 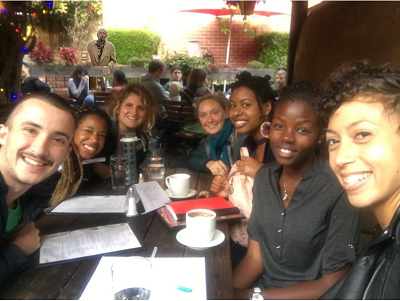 This is an informal gathering to connect with other Swahili speakers on campus and in Berkeley. Each person will support their own beverage purchases (water, soda, coffee, tea, beer, etc. ), but we will provide the good company! And of course, Swahili speaking only! All skill and experience levels are welcome. Karibuni sana!